A review of the Gorilla Seed Bank's reputation, strain selection, quality of seeds and customer service, seed discounts, promotions, and more. Gorilla Seeds is a relative newcomer to the cannabis seed industry. While they haven’t been in business very long, their founding members have over 40 years of experience with growing cannabis between them, so they’re definitely not novices when it comes to weed seeds. Gorilla Seed Bank is a UK-based company, but it has attracted employees and customers from all over the world. It got its start when several cannabis industry experts who were at the peak of their careers looked around, saw each other at the top of their respective specialties, and decided to come together to form a cannabis supergroup – kind of like the Avengers, but with marijuana. To learn more about what this supergroup has achieved, read on for the full Gorilla Seed Bank review! For a massive selection, nice discounts, free seeds, and worldwide shipping from well-established seed banks, take a look at the list of top-recommended seed banks at the bottom of this page!! Gorilla Seed Bank originally started as just one man with a vision and a bit of frustration. Alex was getting tired of constantly ordering cannabis seeds from other seed banks and being disappointed in the results. He had spent years ordering from subpar seed banks and felt like he had exhausted his options without finding one that he really liked. So, he decided to start his own seed bank in March of 2011. The goal for his company was an emphasis on quality products and personalized service – and thus the Gorilla was born. The founder is now referred to as The Chief Gorilla, and has since recruited other like-minded cannabis industry professionals to help him bring his dream to fruition. You can view a full timeline of the events that have taken place from the start of Gorilla Seed Bank up until 2019 on the Gorilla Story page of the website. The Gorilla’s ultimate goal is to always place his customers’ needs above his own. The company was founded on the principle of taking care of loyal customers rather than trying to get rich at any cost, which is a philosophy that still permeates Gorilla Seeds to this day. They set the bar extremely high and work hard to move closer and closer to “absolute perfection,” as The Chief Gorilla calls it. They are always testing the limits and pushing the envelope to deliver their customers with the ultimate seed buying experience, which is evidenced by the multiple times they’ve lowered prices on some of their most popular seeds – sometimes by as much as 50 percent! A seed bank that was just looking for profit would never do that, as it just doesn’t make business sense. The only reason to do a thing like that is dedication to providing your loyal customers with the best prices on high-quality cannabis seeds and the best shopping experience in the industry. The Gorilla’s ultimate goal is to become everyone’s favorite seed bank and win over the hearts and minds of the populace. The team at Gorilla Seeds is constantly working to improve the customer experience in any way they can. This includes offering more seeds at better prices from leading brands and getting them to customers in a timely manner – all with friendly, personalized service. It’s quite a lofty goal, but they seem to be getting closer all the time. Will cannabis lovers eventually come to willingly accept their new gorilla overlord? Only time will tell. Gorilla Seed Bank has only been in business for a few years as of 2019. Because of this, the word hasn’t fully gotten out about them and they don’t have a very widespread reputation as of yet. With their huge commitment to making each customer experience a unique one, it’s obvious how their reputation could grow rapidly once more people start trying out their services. According to the many Gorilla Seed Bank reviews, the company has a core group of loyal customers who absolutely love them, but they’ve yet to get the word out to other enthusiasts who may be satisfied with their current seed bank and reluctant to switch to an unproven newcomer. All that is likely to change gradually as Gorilla Seed Bank becomes more established in the industry. The Gorilla team frequently posts in a lot of weed-related forums, providing helpful advice and customer service. This increases their exposure and probably earns them a lot of new customers for every informative, friendly post that they make. Gorilla Seeds also has a reputation for owning up to any mistakes that may make. They are very transparent about their process on forums and on their own blog, which emphasizes the personal nature of each transaction made through them. It’s neat to be able to speak to a real person who can explain what exactly went wrong with your order and make it right for you. Customers can rest assured that if they are unsatisfied with any order, they’ll be able to reach out to the Gorilla Seeds team and have the issue resolved promptly. 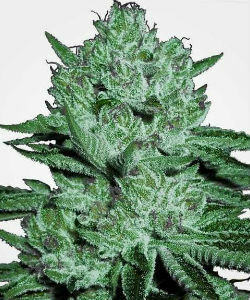 Gorilla Seed Bank offers seeds from a range of different breeders and brands. 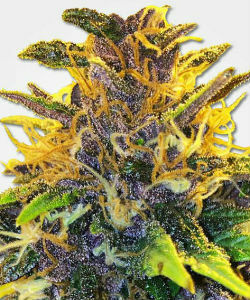 They have strains designed for indoor growing, outdoor growing, or even greenhouse growing. They have autoflowering as well as feminized seeds. 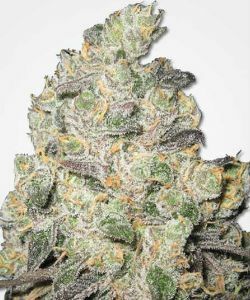 They sell medical strains, high-THC strains, indicas, sativas, and hybrids. One notable exception is that they don’t seem to sell any regular seeds as of 2019. We can understand that they’d want to stock only what is most likely to sell, in order to keep their costs down and pass on the savings to the customers. It’s not such a surprising move when you consider that autoflowering and feminized seeds are highly popular throughout Europe, and Gorilla Seeds is based in the UK. Regular seeds are most widely used in Canada and the United States, but have fallen out of favor in other places over time and with new innovations in the industry. Needless to say, if you’re a fan of growing regular seeds only, Gorilla Seed Bank may not be the place for you. There have been rumors that they may be adding regular seeds soon, but that hasn’t happened yet in 2019. Gorilla Seeds currently stocks seeds from over 60 seed banks, including some favorites like Barney’s Farm, Ace Seeds, Big Buddha Seeds, DNA Genetics, Delicious Seeds, Dinafem, Dutch Passion, Green House Seeds, Nirvana Seeds, Paradise Seeds, Royal Queen Seeds, Seedsman Seeds, Serious Seeds, Sensi Seeds, True Canna Genetics, World of Seeds, and so many more. They also have their own brand of Gorilla Genetics seeds that they sell in their shop. As with any seed bank that distributes seeds from other breeders, the quality of seeds that you get will be largely dependent upon the quality of the seed to begin with. Meaning that the brand you choose to buy has much more of an impact on the quality of seed you’ll eventually receive than Gorilla Seeds does. That being said, Gorilla Seed Bank seems to have a well-curated list of breeders that they work with. They aren’t a superstore that’s just selling anything that they can get their hands on. They seem to have put some thought into selecting only the seeds and breeders that their customers were likely to be satisfied within the long run. This is a smart business decision that cuts down on customer dissatisfaction from breeder’s bad genetics and keeps them coming back for more. Think about it: if you buy some really bad seeds from a certain place, you’re less likely to place another order, no matter whether the fault was with the breeder or the distributor. Gorilla Seed Bank seeks to avoid some of those bad experiences by simply stocking good seeds. Customer service is one of the most valued things Gorilla Seeds offers its customers, and they really make sure that they’re delivering on their promise to put the customer first and offer a personal shopping experience to everyone. You can contact a customer service representative to help you in a multitude of different ways, including by phone, by email, by post, or by submitting an online ticket on their Contact Page. Before you do that, though, check to see whether your question is answered in their very informative Support Centre. There you can easily and quickly find the answers to frequently-asked questions regarding payment options, order status, current promotions, account issues, returns, shipping, and so much more. They even have a helpful video that walks you through paying for your order with Bitcoin if you’re unfamiliar with the currency. It’s obvious that the customer service team at Gorilla Seeds really cares about giving you the best-possible customer experience and ensuring that all your questions are answered along every step of the way. Customer service can be contacted at any time day or night, and you will likely hear back from them sometime during normal business hours, British Standard Time. Representatives are always friendly and ready to help you with your issue. Gorilla Seeds is all about offering their customers the best price on every purchase, meaning that they have ultra-low prices all the time. Even so, they still manage to find a little wiggle room to offer regular sales, discounts, and promotions that give their loyal customers some well-deserved free seeds. Check out their Free Seeds page to see what’s on offer this month. They rotate the gift seeds regularly so that their frequent customers never get bored. The only drawback is that you have to spend at least £34.99 on seeds (excluding taxes and shipping costs) to be eligible to receive a single free seed. When you spend £68.99, you’re still only getting 6 free seeds. The order thresholds seem a bit too high and way out of line with what other seed banks are offering their customers. If you regularly spend that much on your seed orders, you may not mind, but for people who make more frequent, smaller orders, they may not get very many free seeds, which is always a bummer. They do have other promotions, like getting 5 free Barney’s Farm seeds when you pay for your order with Bitcoin or bank transfer, but once again, you have to spend a minimum of £34.99 on your order. We understand wanting to prevent people from taking advantage of the free seed offer by making multiple tiny orders, but the minimum is still too high. They may want to bring it down to £15 or £20 in the future to improve customer satisfaction. 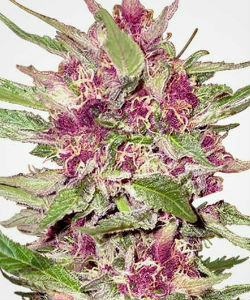 Gorilla Seeds also has random discounts that don’t require a minimum purchase amount. Depending on when you look, you may find that they’re running a 50% off special on random outdoor mixes, or a 10% discount on all Ace brand seeds. You just never know until you look! Check back often, because their sales are always changing. If you see something you like, jump on it, because it may not still be available tomorrow. For worldwide shipping on seed promotions, specials, and free seeds with every order (no matter how small), take a look at MSNL’s Special Offers and Promotions page. The shopping experience at Gorilla Seed Bank is pretty standard. They sell all of their stock through their online shop and do not have a physical storefront. They’ve incorporated robust search tools into their website to help customers find exactly what they’re looking for or browse based on certain plant characteristics like height, flowering time, indica/sativa blend, price, average rating, and more. The site is well-designed, easy to navigate, and colorful without being overwhelming. It’s pleasing to the eye and very informative. 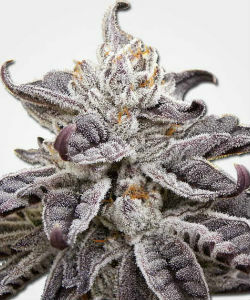 Each product listing page has a detailed description of the strain you’re looking at along with reviews from real people who have purchased it before, and the blog has a lot of additional information on all sorts of topics related to the brands they carry, 420 events, growing, and the cannabis industry in general. One of the things you’ll find mentioned in positive Gorilla Seed Bank reviews is its worldwide shipping. Although Gorilla Seeds ships its products worldwide, customers are responsible for knowing and obeying their local laws. Stealth shipping is available to all countries excluding North Korea. Gorilla Seeds guarantees that your order will be shipped discreetly, in plain packaging with only your name and address as well as a return address printed on the outside of the parcel. Discreet shipping is the default shipping option, but you can also opt for an additional layer of protection for an additional cost of £7.49. When you add super stealth shipping to your order during checkout, your package will be shipped in a crush-proof container inside a stealth item such as a DVD case. Seeds are shipped in the original breeder’s packaging whenever possible, however, some breeders use bulky packaging that is too large to fit inside the stealth shipping item. In these cases, the packaging will be removed, but each seed will be clearly labeled so that you know which is which when you receive them. Most orders are dispatched within 48 hours of receiving payment, but some can be dispatched the same day if you order before noon or so. All orders ship with tracking numbers that will be sent to you in a confirmation email once your parcel ships. Usual delivery times are within 1 to 5 business days for UK orders, 5 to 20 business days for orders within Europe, and 5 to 25 business days for all other international orders. Returns to the Gorilla Seed Bank are pretty simple. All you need to do is return any of your unwanted seeds in their original packaging, unopened, within 7 days of receipt. To begin your return, simply log into your account and cancel your order. Then put your seeds into a padded mailer to protect them on their return journey and include a filled-out return form inside the package. Make sure to seal the package adequately so that there’s no chance of any seeds slipping out during shipping. An extra piece of tape or two certainly wouldn’t hurt here. Then you’re all set! Once The Gorilla has received your seeds, they will refund your money or issue you a replacement, depending on how you filled out your return form. You are responsible for any return shipping costs, and it’s always best to send them through registered mail so that you can track the shipment. Gorilla Seed Bank accepts a variety of popular payment methods, including credit and debit cards, prepaid Visas, bank transfer, cash, and Bitcoin. There are occasionally promotions giving you a discount for paying with certain payment options, so make sure you check for those before you place your order. You can pay with many of these options over the phone if you’d prefer not to order from the online shop. Unfortunately, customers cannot pay for their order with bananas or PayPal. Gorilla Seeds seems like a great up-and-coming seed bank. They already have a pretty good amount of stock from some great seed breeders, and we can’t wait to see how much they grow over the course of the next few years. As of 2019, they are still pretty new and relatively unknown, but it’s obvious that they are committed to giving their customers a great shopping experience, and that attitude will undoubtedly take them far in this industry. They have a great foundation laid for success with a user-friendly website, great prices, good selection, high quality products, and an excellent customer service team. If they can get a bit of a farther reach and start attracting more customers, they could be well on their way to taking the cannabis seed industry by storm, just like The Chief Gorilla envisioned at the start. Their loyal customers hope they keep growing and doing what they do best. For customers in the market for seed banks that only sell extremely high quality seeds, it’s highly recommended to buy directly from the breeders in order to get the cream of the crop in terms of products. Purchasing directly from seed breeders ensures a fresher product for a much lower price, and each breeder takes a lot of pride in their reputation and strict quality controls. This means that you can expect a highly consistent level of quality from independent seed breeders over seed bank emporiums such as Gorilla Seeds. Marijuana-Seeds.NL (MSNL) – This British seed bank is a well-known and high-quality seed breeder with a massive variety of cannabis strains. They have an excellent customer service team, offer worldwide stealth shipping, and feature awesome promotions. Payment options include Bitcoin and credit cards, and MSNL gives out free seeds with every order. 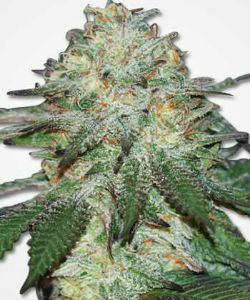 Crop King Seeds – Crop King doesn’t have the wide variety of MSNL, but the products they do have are high quality. They have an impressive germination guarantee that gives new buyers peace of mind. They also have a friendly customer service team and worldwide stealth shipping. Payment options include Bitcoin, PayPal, and credit cards. Ministry of Cannabis – This Spanish seed bank comes highly-recommended for seed buyers on a budget. Ministry of Cannabis may be inexpensive, but their seeds definitely aren’t cheap. They offer a great value for your money and ship worldwide. Payment options include Bitcoin and credit cards. Nirvana Seeds - Review of Nirvana Seed Bank's reputation, selection and seed quality, customer service, and special discounts.